When you use any Amazon.ca Service, or send e-mails, text messages, and other communications from any device to us, you are communicating with us electronically. You consent to receive communications from us electronically. We will communicate with you electronically in a variety of ways, such as by e-mail, text, in-app push notices, or by posting notices and messages on the Amazon.ca site or through other Amazon.ca Services, such as our Message Centre. You agree that all agreements, notices, messages, disclosures, and other communications that we provide to you electronically satisfy any legal requirement that such communications be in writing. You may need your own Amazon account to use certain Amazon.ca Services, and you may be required to be logged in to the account and have a valid payment method associated with it. If there is a problem charging your selected payment method, we may charge any other valid payment method associated with your account. 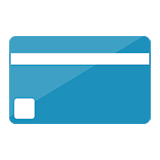 Click here to manage your payment options. You are responsible for maintaining the confidentiality of your account and password and for restricting access to your account, and you agree to accept responsibility for all activities that occur under your account or password. Amazon.ca does sell products for children, but it sells them to adults who can purchase with a credit card or other permitted payment method. If you are under the age of majority in your province of residence, you may use the Amazon.ca Services only with involvement of a parent or guardian. 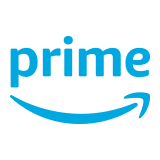 Amazon.ca reserves the right to refuse service, terminate accounts, terminate your rights to use Amazon.ca Services, remove or edit content, or cancel orders in its sole discretion. If you do post content or submit material, and unless we indicate otherwise, you grant Amazon.ca a nonexclusive, royalty-free, perpetual, irrevocable, and fully sublicencable right to use, produce, reproduce, modify, adapt, publish, perform, translate, create derivative works from, distribute, communicate to the public by telecommunications and display such content throughout the world in any media for all purposes, including in advertising and promotions. You grant Amazon.ca and sublicencees the right to use the name that you submit in connection with such content, if they choose. You represent and warrant that you own or otherwise control all the rights to the content that you post; that the content is accurate; that use of the content you supply does not violate this policy and will not cause injury to any person or entity; and that you will indemnify Amazon.ca for all claims resulting from content you supply. Amazon.ca has the right but not the obligation to monitor and edit or remove any activity or content. Amazon.ca takes no responsibility and assumes no liability for any content posted by you or any third party. Amazon.ca respects the intellectual property of others. If you believe that your intellectual property rights are being infringed, please follow our Notice and Procedure for Making Claims of Copyright Infringement. 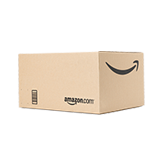 Risk of loss and title for items purchased from Amazon.ca pass to you upon our delivery to the carrier or, if such items must cross an international border, then risk of loss and title pass to you when they clear customs. Amazon.ca does not take title to returned items until the item arrives at our fulfillment center. At our discretion, a refund may be issued without requiring a return. In this situation, Amazon.ca does not take title to the refunded item. For more information about our returns and refunds, please see our Online Returns Center. "List Price" means the suggested retail price of a product as provided by a manufacturer, supplier, or seller. We regularly check List Prices against prices recently found on the Amazon.ca site and other retailers. Certain products may have a "Was Price" displayed, which is determined using recent price history of the product on the Amazon.ca site. Parties other than Amazon.ca operate stores, provide services or software, or sell product lines through the Amazon.ca Services. In addition, we provide links to the sites of affiliated companies and certain other businesses. If you purchase any of the products or services offered by these businesses or individuals, you are purchasing directly from those third parties, not from Amazon. We are not responsible for examining or evaluating, and we do not warrant the offerings of, any of these businesses or individuals or the content of their web sites. Amazon.ca does not assume any responsibility or liability for the actions, product, and content of all these and any other third parties. You should carefully review their privacy statements and other conditions of use. The following terms (“Software Terms”) apply to any software (including any updates or upgrades to the software) and any related documentation we make available to you in connection with Amazon.ca Services (the "Amazon Software"). If you believe that your intellectual property rights are being infringed, please submit your complaint using our online form. This form may be used to report all types of intellectual property claims including, but not limited to, copyright, trademark, and patent claims.